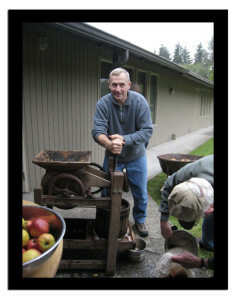 Make cider on our Old-Fashioned hand crank cider press! Bring clean apples if possible and a clean container to take some cider home. It is lots of fun for the whole family. Homemade donuts will be made and served during the cider press time.